Australia is ending its security mission in East Timor, six years after sending troops to restore stability. The Australian-led International Stabilisation Force (ISF) was deployed in 2006 amid violence that forced thousands of people from their homes. Some 460 Australian and New Zealand ISF troops currently remain in East Timor. They ceased operations on Thursday and will be fully withdrawn by April 2013 after closing down bases and returning equipment. East Timor had seen its economy grow and institutions strengthened, the Australian defence and foreign ministers said in a joint statement. Elections had been held this year and a new government formed. "Timorese security services have risen to the challenge and served their nation well throughout these events," the statement said. Engagement would continue through continued support for the local police force, the ministers added. UN peacekeepers will also draw down their mission by the end of the year. Last month, they formally returned full policing duties to the country's national force. Both the ISF and UN missions were brought in after the sacking of several hundred soldiers in March 2006 sparked violent clashes that threatened to push the country into civil unrest. Several dozen people were killed and large numbers were displaced. Since then, stability has been restored and, earlier this year, general elections passed off peacefully. 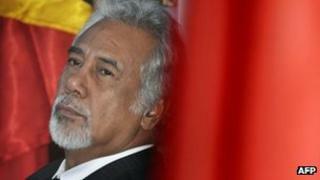 At a ceremony in Dili late on Wednesday to mark the end of the ISF mission, Prime Minister Xanana Gusmao thanked Australia and New Zealand for their help. "As a result we now look to the future with optimism and hope," he said.